I have recently become aware of the demolition plans involving more than 750 acres of woodland and farmland west of 202/Concord Pike on the Pennsylvania/Delaware border. 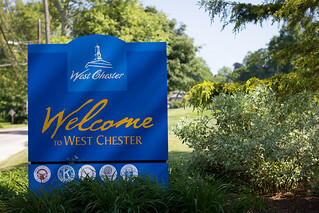 The area, known locally as “The Valley” but formally as “Beaver Valley” is located just minutes outside of Downtown West Chester and offers a great outdoor escape with magnificent beauties. The land at stake adjoins the newly recognized National Monument in Delaware and Chester County. Developers are attempting to purchase this land and change zoning laws so that it may be bulldozed and built upon before the remainder of the land joins our new National Monument. This land is currently owned by the Woodlawn Trustees. Don’t let the name fool you. The Woodlawn Trustees have every intention to develop this land. The only thing stopping the development is the current zoning. However, these developers are trying to change the zoning so that they may bulldoze the land and build almost a thousand houses and a big box retail store. Concerned citizens have created a website, wwww.savethevalley.org, to better inform people of the matter at hand. Savethevalley.org aims to put a stop to the development plans on the remaining land held by the Woodlawn Trustees and to preserve the land permanently for recreational use. Join in the fight for saving this precious land before it is too late. For more information visit www.savethevalley.org and check out this informative Youtube video. Also, sign the petition by clicking here and join in the protest on May 14th at 7pm at the Concord Twp Board of Supervisors Rezoning Meeting to show your support.